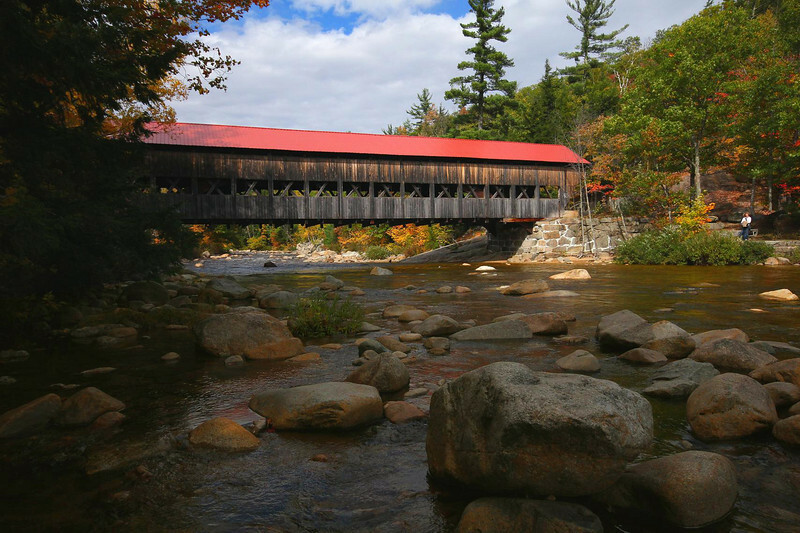 Albany Bridge, White Mountains National Forest, along the Kancamagus Highway. This is on the south bank of the river, looking northwest. Human bridge traffic was brisk at all times, but a little editing left me with just one lady to scale the scene.